The crepe was tasty enough with Nutella, banana and coconut flakes. My complaint is that they are skimpy with the fillings. While I waited in the LONG line, I saw them making other crepes and they were all pretty skimpy. Not likely to try again. Jul 03, 2013 by Angelina C.
The Bombai Dhaba (the daily special) was recommended over the vegetarian Farmer Joe's when I stopped by the truck. Honestly, though, I feel as if I would have been happy with anything off the truck's menu. The crepe was delicious and well-made, and the filling was superb. Was it worth almost $10? I was satisfied with my crepe, but did not feel full - so personally, I think it was a tad bit overpriced. But, the quality was great. The taste was awesome. The two guys on the truck worked quickly so the wait wasn't long. I plan to make my way to this truck the next time it's in Farragut - but maybe I'll get a sweet crepe as a dessert instead of a savory one for lunch. The Jean's Dijon consisted of lunch meat, spinach, too much dijon, and possibly gruyere though I didn't notice any. Not much filling, except for the dijon mustard. The crepe itself was okay but I've had much better. The Fraise Amour was strawberries and nutella with a little strawberry sauce on top and a little powdered sugar - nothing special. Way overpriced. In fact, I just noticed that although they charged me $8 each, the prices are listed as $6.50 and $6.10 on their in-store menu which they handed to me. Not worth the price in my opinion, especially considering that lunch meat is used for the savory crepe. That's just lame. 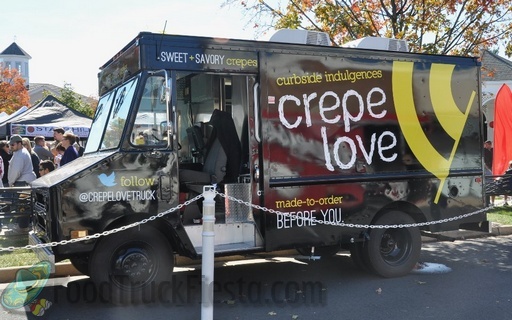 Crepe Love Truck by Crepe Amour started serving curbside earlier this past Fall. They are licensed in Washington DC, Fairfax County and in the process of obtaining Arlington County permits. In addition to their mobile catering unit branded as Crepe Love, they now have a new Crepe Amour location at 407 Maple Ave East, Vienna, VA (after relocating their Georgetown location). Additionally, they are expected to open two more locations in 2013. 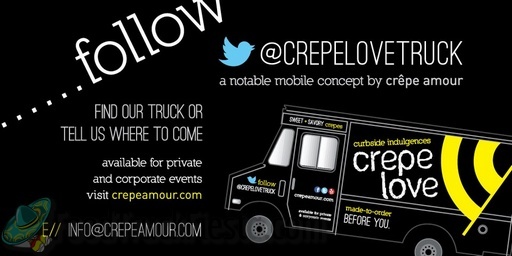 So far, Crepe Love Truck has been specializing in private and corporate events. They are expected to vend curbside more regularly in coming weeks along with a cart and another truck. 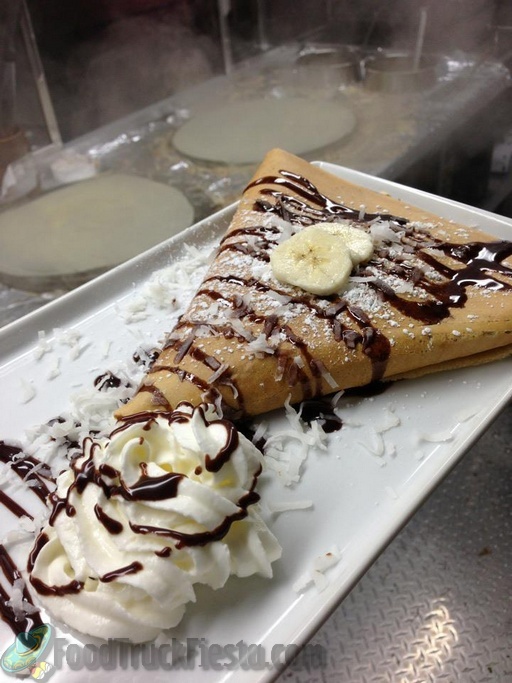 The Crepe Amour concept was featured on the The Cooking Channel’s Unique Eats when they opened in Georgetown and their catering services were featured multiple times in the Washingtonian.